2017 has been a busy year for the group. Here is a list of the highlights from the year. If you'd like to join us and help make 2018 even more successful then please get in touch with Shaun - See Contacts section. Organised an anti-fracking rally in city centre. Worked with other local and regional anti-fracking groups. 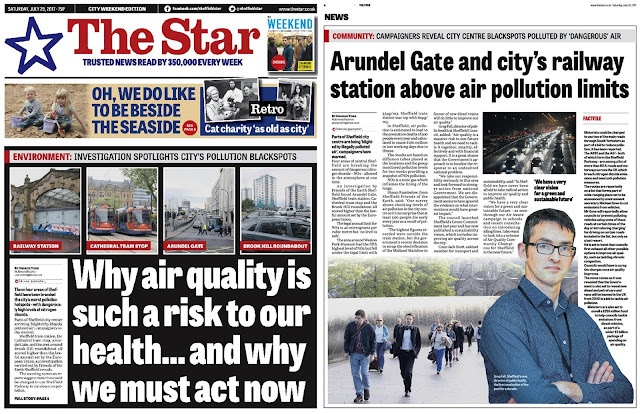 Anti-fracking articles were published in The Star. Organised a Skip Fossil Fuel stunt outside Weston Park Museum. Looked into the issues with treating fracking water at the Ecclesfield water treatment plan. Organised an anti-fracking benefit Burns Night. Had a networking lunch with Jessica Ernst who has been responsible for a long running legal campaign in Canada. 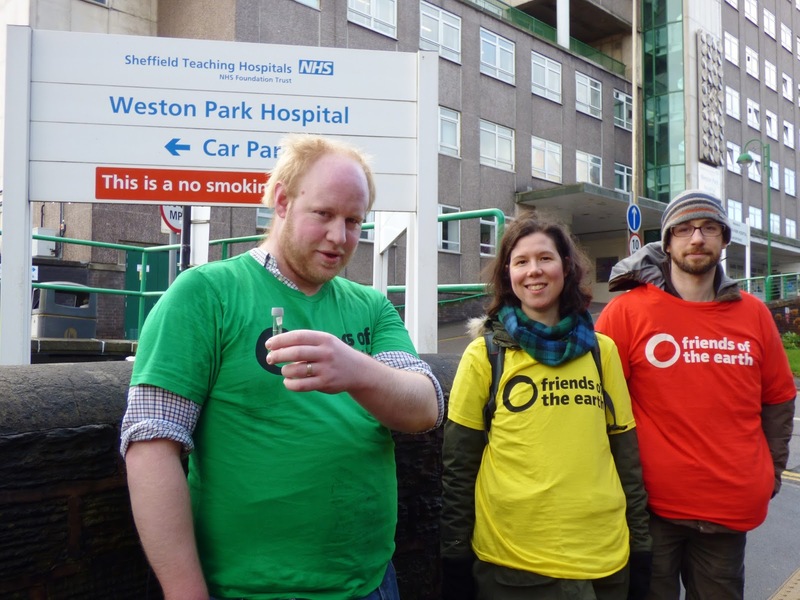 Installed 10 pollution monitoring kits in Sheffield. Had articles published in The Star (front page) and the Yorkshire Post. Contacted by Sky News for an interview. Pollution monitoring with the University of Sheffield. Contacted MPs and councillors about air pollution. Organised the Festival of Debate Air pollution: The Silent Killer Debate. Took part in the Midland Mainline electrification stunt. Took part in a stall at the Sheffield Food Festival in the Winter Gardens. Gave a presentation at the tree action group conference. Campaigned to save Smithy Wood. Worked with Museums Sheffield for a history of activism project. Took part in Zero Carbon Yorkshire – CAT. Ran a stall at the Peace and Craft Fair. Air pollution and fracking articles in the local media. Energy storage letter in the Sheffield Telegraph. Watched the Al Gore film "An Inconvenient Sequel: Truth to Power". Respond to letters and requests from the public.